James Paul Warburg, the son of Paul Warburg, was born on Hamburg, on 18th August, 1896. Warburg was educated at Harvard University and during the First World War he served in the Navy Flying Corps. In 1919 he joined the First National Bank of Boston. Two years later he became Vice President at the International Acceptance Bank. This was followed by the posts of president at the International Manhattan Company (1929 to 1931), president of the International Acceptance Bank (1931 to 1932), Vice Chairman of the Board at Bank of the Manhattan Company (1932 and 1935). In 1933 Warburg became financial adviser to President Franklin D. Roosevelt to the World Economic Conference in London. Warburg left government in 1934, as a result of his opposition to aspects of the New Deal. However, deeply concerned about the treatment of Jews in Nazi Germany he re-entered government service in 1941 as Special Assistant to the Coordinator of Information. William Stephenson the head of the British Security Coordination (BSC), found this frustrating and he encouraged William Donovan and Allen W. Dulles, with the support of BSC agent, Sydney Morrell, to establish the pro-intervention Fight for Freedom (FFF) group in April 1941. 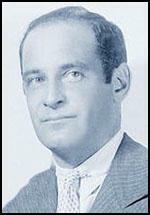 Warburg also joined and other members included Ulric Bell, (Executive Chairman), Peter Cusick (Executive Secretary), Allen W. Dulles, Joseph Alsop, Henry Luce, Dean G. Acheson, Rex Stout, Marshall Field III, Fiorello LaGuardia, Lewis William Douglas, Carter Glass, Harold K. Guinzburg, Conyers Read, Spyros Skouras and Henry P. Van Dusen. The group also contained several journalists such as Herbert Agar (Louisville Courier-Journal), Geoffrey Parsons (New York Herald Tribune), Ralph Ingersoll (Picture Magazine) and Elmer Davis (CBS). At its peak, the FFF headquarters at 1270 Sixth Avenue in New York City had an office staff of twenty-five. In 1942, when propaganda responsibilities were transferred to the Office of War Information, he became its Overseas Branch Deputy Director. After the Second World War he joined the Society for the Prevention of World War III, a lobby group that argued for harsh treatment of Germany. Other members included Walter Wanger, Rex Stout, William L. Shirer, Mark Van Doren, Louis Nizer, Lewis Mumford, Quentin Reynolds and Darryl Zanuck. In 1963, along with Philip Stern, he helped to establish the Institute for Policy Studies. Warburg was a member of the Council on Foreign Relations. He caused great controversy when on 17th February, 1950, he appeared before the U.S. Senate Committee on Foreign Relations and said, "We shall have world government, whether or not we like it. The question is only whether world government will be achieved by consent or by conquest." James Paul Warburg died on 3rd June, 1969.